This section will be revised soon. A newer section (Archaeology) contains more recent details. With lots of help from the University of Kent, we will soon be back at our latest dig site. For those of you that don’t know we have a very interesting site. For the last year or so it has given us hundreds of pottery shards and our recent excavation revealed Romano British / Roman occupation post holes, trackway, Late Roman corn-drying ovens, trenches plus lots more pottery and coins. A recent Geo Phys of the site has got us very excited, and we can’t wait to get back this summer. So if you not a member and would like to know more please contact us or just pop along to one of our monthly meetings or see our events page. These have been terrific sites for us and below is a brief synopsis of our progress. 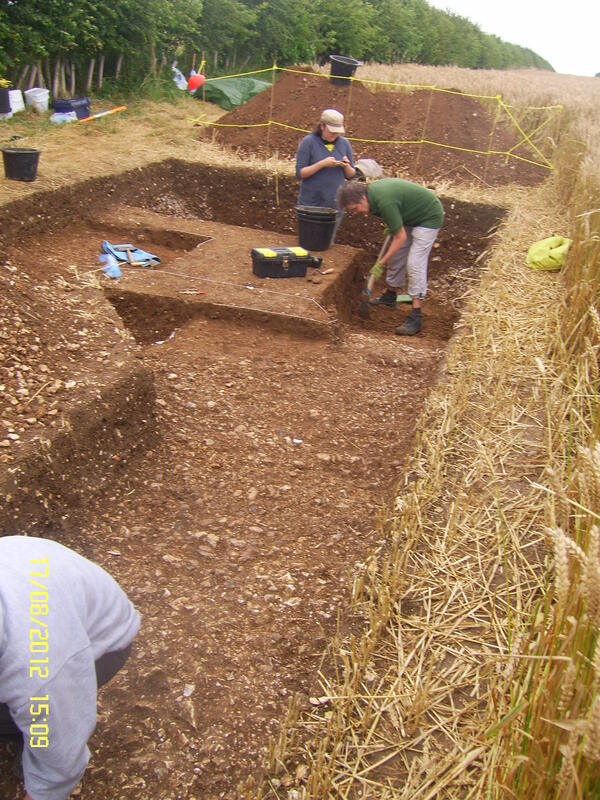 Our early trenches in 2007 revealed very little. We simply tried to plot crop marks from aerial photos. This isn’t as easy as it sounds. Bingo we land right in the centre. Thanks to Kent university and Dr Willis taking an interest in the site, we managed to get a geophysical survey of the area. This was also the start of our finds of 100s pottery shards, all from the Roman period, there were a few earlier bits but not many. The picture above shows the extent of the dig in 2007, it’s in the industrial part of the site. Most features cover the 2nd 3rd 4th century . 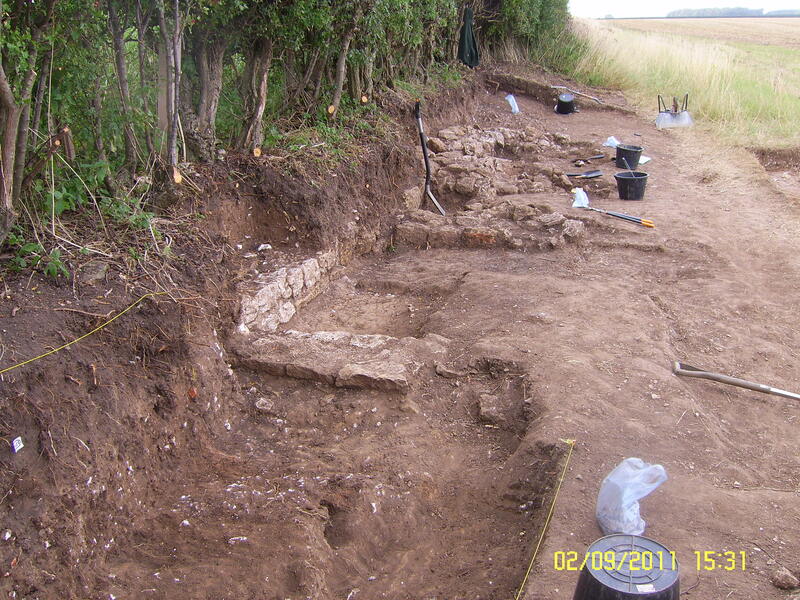 The site just gets better, we find corn-drying ovens, workshops and boundary ditches. Grimsby History fair Aprill the 9th ,2011 more details to follow.